FICO is very happy with the Tray Platform’s flexibility. The platform’s ability to push data back and forth has empowered us to drastically improve marketing processes. FICO is a household name. A leading provider of data analytics and credit scoring, the company has thousands of employees who work daily to help people use data to make better decisions. The company’s consumer division offers numerous products that enable users to access their FICO® scores, the industry-standard credit score, get credit reports from all three credit bureaus, get identity theft protection, and find lower rates on important expenditures such as mortgage and auto payments. FICO’s Consumer Team set out to engage consumer audiences with practical, everyday financial services and useful educational materials, but it faced some technology challenges that were overcome with forward-thinking teamwork and integration of state-of-the-art technology. In its earliest days, FICO’s Consumer Team relied on digital communication software that was not integrated to any of its internal data sources. This meant that each marketing campaign required the team to re-invent the proverbial wheel by manually loading target lists and verifying them each time – a time-consuming process that also reduced response rates. The team recognized this problem and decided to make a change. 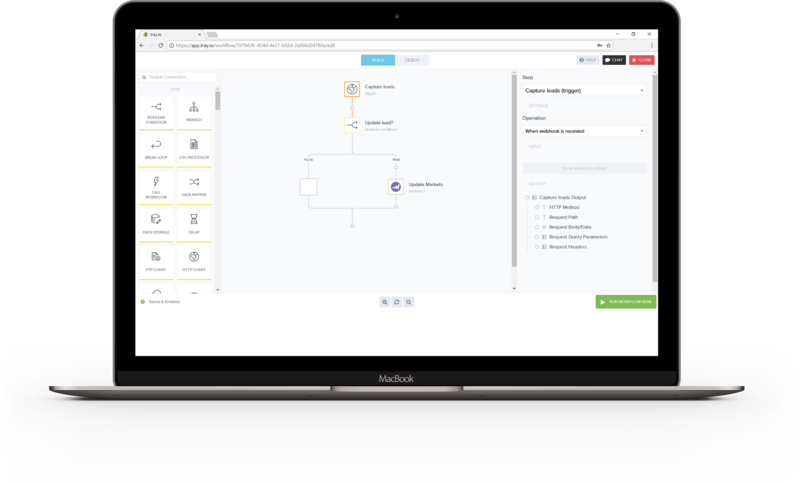 It ultimately made the decision to switch to Marketo, the popular marketing automation platform (MAP). Marketo allowed the team to automate the management of its various marketing campaigns, including complicated processes like newsletter unsubscribe requests. There was just one problem. While each of these solutions is good at what it does, there was no native integration to connect the tools to provide the specific functionality that the FICO team needed. This meant that, despite having excellent tools on hand, the team would still have to transfer flat files of marketing data among the various components of its marketing stack - a process that is highly inefficient, prone to user error and is too time-consuming. The team recognized this unique challenge and put several ideas in place to solve the problems it faced. The Consumer Team realized that it needed a user-friendly, common-sense solution that would not tie up internal engineering teams. So the team searched for state-of-the-art platform solutions that would allow it to connect its marketing tools. 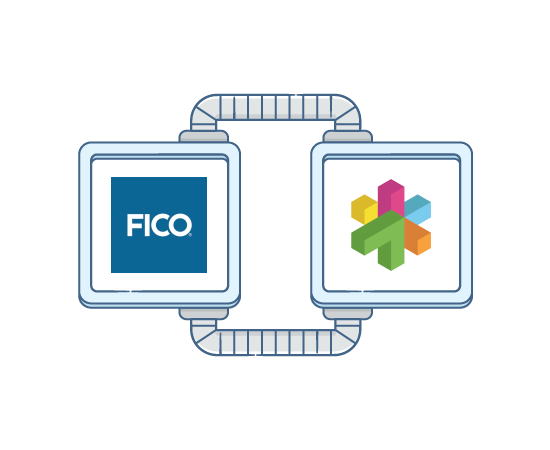 These considerations ultimately led the FICO team to Tray.io’s General Automation Platform, which connects leading software applications and flows important business data seamlessly among them with a code-free, drag-and-drop interface that any business user can use. The implementation of Tray’s platform led to great success. Using the Tray platform, FICO’s Consumer Marketing and Developer Teams sidestepped the need to implement APIs to connect its marketing stack. Thus, the team synced Marketo to its data warehouse to pull lead and customer data directly from their back end, which allowed it to automatically consolidate and de-dupe its marketing lead lists. It also allowed the team to create a single source of truth for marketing preferences within Marketo. The team manages customer data as well as engagement data from its production environment. The FICO team ports this data to a table in its data warehouse solution, and using the Tray platform, provides regular intraday data updates to Marketo. In the end, the team’s hard work and problem-solving led to vast improvements, including greater engagement rates within email campaigns, as well as saved time within the team. “We’re very happy with the Tray platform’s flexibility,” says Ryan. The Tray platform has enabled her team to make significant process changes that have saved time and led to noticeable progress towards its goals. “Having up-to-date, correct data has been game changing: our data is cleaner, fresher, and we’ve been able to leverage that in our communications, from nurture campaigns to triggered campaigns. Implementing the Tray platform has definitely improved deliverability for our campaigns from approximately 60% of emails landing in inboxes to about 90% in inboxes. Our engagement rates spiked overall with open rates increasing by about 26% and click-through rates by about 9%," Ryan states. "Implementing the Tray platform has improved deliverability from approximately 60% to about 90%, with open rates increasing by about 26% and click-through rates by about 9%." Looking ahead and using the success of this implementation the FICO team plans to make use of Tray platform to seamlessly route data to and from different sources. “Something we want to do in the future is to connect a lot of disparate data sources, both first-party and third-party. We work with many different vendors, so we’d like to consolidate and create one view of our leads and customers,” explains Ryan.